So for something delectably sweet, here's the video of mine and Ray's Xbox kinect hack project. 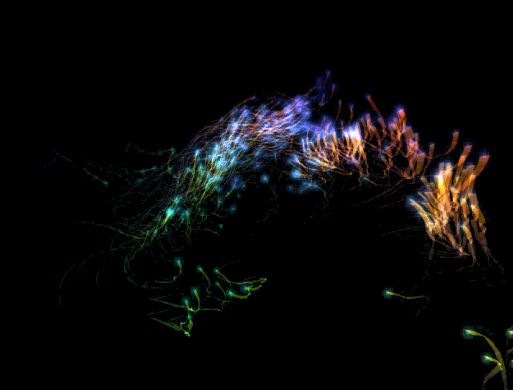 We're pulling out the depth map, isolating the user, and generating a particle system based off of the user's movements. 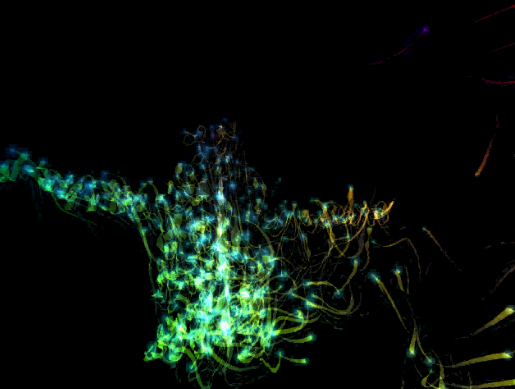 Particles flock to fill in your silhouette when you stay still, and display swarming/flocking behavior around your centroid when you move. 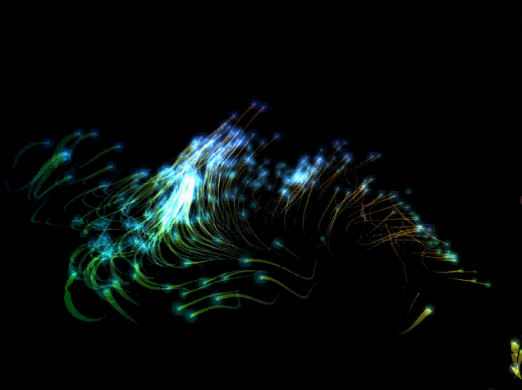 Kinect Flock | Particles + xBox Kinect by Alex Wolfe + Honray Lin from Alex Wolfe on Vimeo. 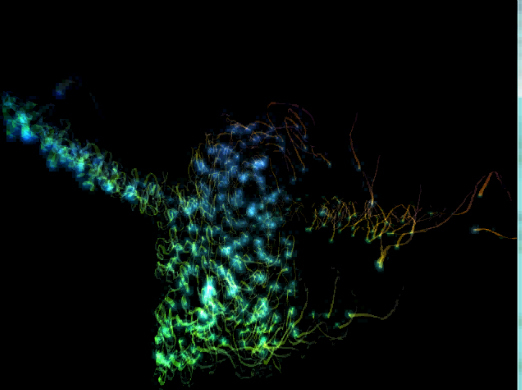 Ah sorry the angle of my camera is slightly off from the angle of the kinect, but you get the idea : ) This project was ridiculously fun to work on, Ray ended up doing most of the depth map pulling and I developed the particle system in Cinder. Since we are using a depth map instead of plain camera data it is very easy to get extremely accurate user silhouettes, despite whatever is in the background. 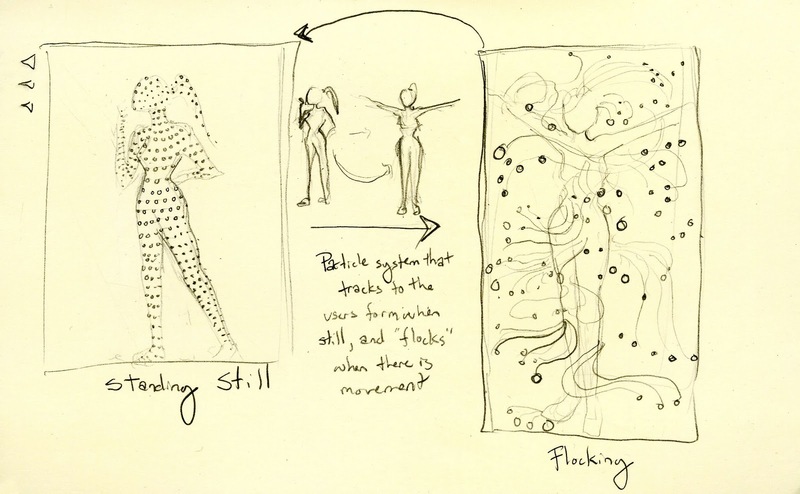 Each point generated by the kinect that comprises my body has a gravitational pull on one particle in the simulation. 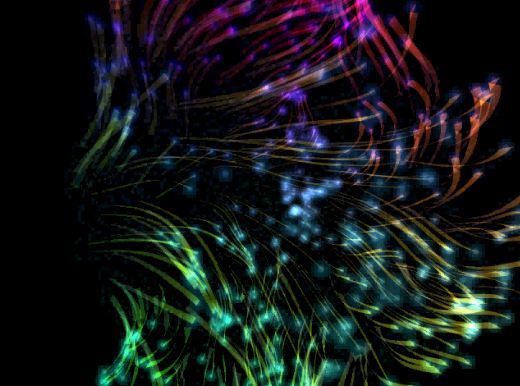 The strength of this force is inversely related to how fast I'm moving, so when I stand perfectly still the particle zooms to the point it corresponds to, and when I move its free to wander and behave on its natural flocking tendency. Thus you get these really sweet visuals as my silhouette breaks and reforms depending on how fast I'm moving. 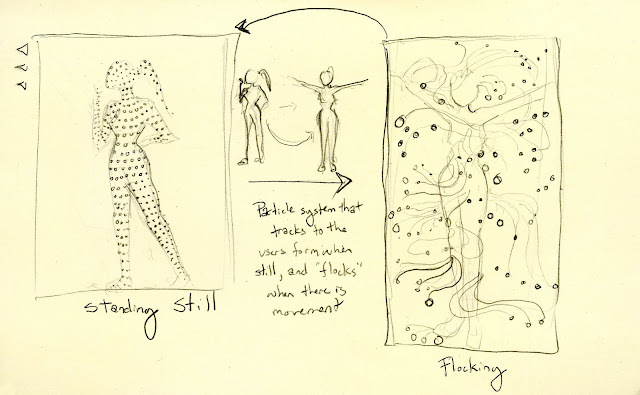 Kinect Flock | Processing Concept Sketches from Alex Wolfe on Vimeo. 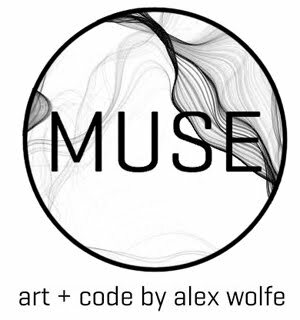 Read even more about the project and others at the interactive art + computational design blog! hey is there a place where we can download your source code? ah, no there isn't. I'm still a student and I'm not sure what I want to do with the things I'm making yet, so until then I don't think I'll be giving them away. If you'd like to know how to do some small/specific part of the app though I'd be happy to help.